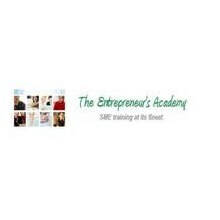 The Entrepreneur's Academy is a training service brand operated and owned by EAA Human Resource Training Services. Combined with the companies serviced by its affiliate Indu Inferentia Management Consultancy, its client base has reached 7,000 companies since 2009. High quality, cost efficient training is a pressing need of SME's, who compose more than 95% of registered businesses in the country. The Academy's consultants are acknowledged experts within their circles of practice. Moreover, the company specializes in customization, ensuring that the training design in all in-house offerings sharply address its clients' needs. While competence is assured, cost-efficiencyis also carefully guaranteed. In fact, the Entrepreneur Traning Academy offers the lowest price in the public workshops training service category.